You. Yes, you. You would like some cookies. Tasty, aren't they? Now that I have your attention, I was wondering if you would like to join our group. There are wonderful benefits such as the accessibility to artifacts, tomes, and armies to help you with any vengeance you might be craving. So you do want to sign up? After all, it feels good to be above others. We have big plans and could really use your talents. Just remember not to betray us for we are quick to silence those in our way. 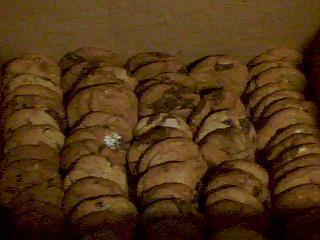 And if all of that doesn't convince you, just remember: Only we have the antidote to those cookies. Oh. I think we might have misplaced it somewhere. Too bad.